Amnesty International USA is excited to be hosting this year’s Annual General Meeting (AGM) in the Washington, DC metropolitan area! 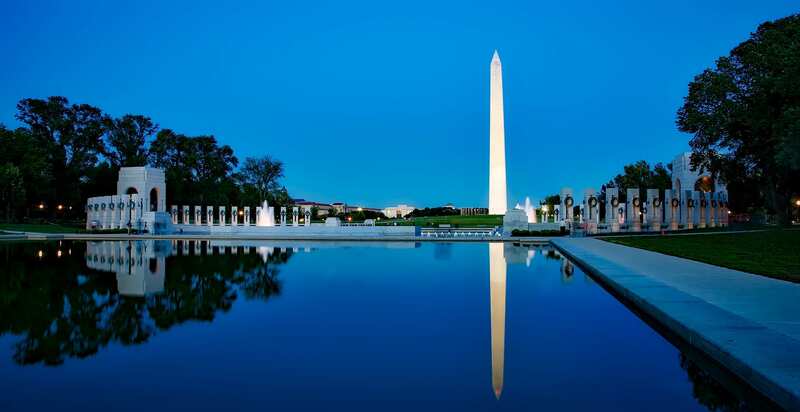 Our 53rd AGM will be held at the Bethesda North Marriott Hotel & Conference Center in Rockville Maryland, just a few minutes away from our nation’s capital, Washington, DC! The 2018 Annual General Meeting will bring together hundreds human rights activists from throughout the U.S. and around the world to engage in networking opportunities, human rights actions, inspiring plenaries, outstanding keynotes and hands-on workshops, as well as to shape the policies of the organization. This year’s conference is shaping up to be incredible, and through our conference, human rights activists will be inspired to expand awareness, initiate change, and call the world to action. Together, we have the power to create a world where human rights are enjoyed by all. The 2018 Annual General Meeting will equip and connect Amnesty International USA’s members and activists to help defend the inalienable human rights of all people – no matter who they are or where they are. We would like to give a special thank you to our 2018 AGM Program Committee for their hard work and commitment to the success of our Annual General Meeting. This is a draft agenda and is subject to change, please be sure to check back for further updates. More information on Speakers coming soon! Philip Alston teaches international law, international criminal law, and a range of human rights subjects. He has degrees in law and economics from the University of Melbourne and a JSD from Berkeley. He previously taught at the European University Institute, the Australian National University, Harvard Law School, and the Fletcher School of Law and Diplomacy. He was one of the founders of both the European and the Australian and New Zealand societies of international law and was editor-in-chief of the European Journal of International Law from 1996 through 2007. In 2014, he was appointed by the UN Human Rights Council as its Special Rapporteur on extreme poverty and human rights. From 2004 to 2010, he was UN Special Rapporteur on extrajudicial executions, undertaking official missions to Sri Lanka, Nigeria, the Democratic Republic of the Congo, the Philippines, Israel, Lebanon, Albania, Kenya, Brazil, Central African Republic, Afghanistan, and the United States. He has also been on the Independent International Commission on Kyrgyzstan (2011) and the UN Group of Experts on Darfur (2007) and served as Special Adviser to the UN High Commissioner for Human Rights on the Millennium Development Goals (2002-07); chairperson (1991-98) and rapporteur (1987-91) of the UN Committee on Economic, Social, and Cultural Rights; and UNICEF’s Senior Legal Adviser on children’s rights (1986-92). Sarah Ahmed is a proud member of the Texas A&M Class of 2018. She is from Houston, Texas and a first-generation college student. She is majoring in political science with a minor in history. At Texas A&M, she has been a part of the Muslim Student’s Association and had the opportunity to serve on their officer board. The position allowed her a chance to engage in dialogue and interactions to help educate and respond to misconceptions and issues relating to Islamophobia. She is involved with Amnesty International USA (AISUA) in the capacity of Legislative Coordinator for the State of Texas. The position has allowed her to be well acquainted with different policies pertaining to human rights issues. Sarah’s work, especially in educating and spreading awareness about the Global Refugee Crisis, has fostered her interest in policy work. Her experiences with AIUSA have reinforced the importance and need for advocacy work. Her interest in legislative work led her to intern at Capitol Hill for the House Democratic Caucus. After graduation she hopes to pursue law school. Emily Beck is a 25+year social justice activist. With AIUSA, she’s a Trainer for the Membership Empowerment Project and was Area Coordinator-Missouri. Emily trained Legal Observers® at Standing Rock and has provided jail, court, and administrative support for progressive movements across the US. She’s a co-founder of Privacy Watch-St. Louis. Denise Bell is AIUSA’s Senior Campaigner for Refugee and Migrant Rights. Prior to joining AI, Denise was an Attorney Advisor on the New York City Immigration Court at the U.S. Department of Justice. She graduated from Georgetown University Law Center, where she received a Certificate in Refugees and Humanitarian Emergencies and won asylum for a Cote d’Ivoire national as a student attorney with the asylum clinic. She serves on the Board of Advisors of Behind the Book and on the Board of Directors of The Advocacy Lab, a human rights education nonprofit organization working in New York City public high schools. Ebony Brickhouse is a Field Manager with Amnesty International USA (AIUSA). With nearly seven years with Amnesty International USA, her time organizing within the movement is over a decade. In addition to national organizing, Ebony is keen on collaborating with organizations, and individuals directly impacted by gun violence and have embraced the Ending Gun Violence work AIUSA has embarked on since 2014. Rachel Brown is the Executive Director of Over Zero, which supports societies to resist division and create long-term resilience to identity-based conflict. She is the author of Defusing Hate: A Strategic Communication Guide to Counteract Dangerous Speech, which brings together insights from diverse fields of expertise – from marketing to cognitive neuroscience – to support practitioners seeking to design communications-based interventions for atrocity prevention. She was a 2014 Genocide Prevention Fellow at the United States Holocaust Memorial Museum Simon-Skjodt Center for the Prevention of Genocide (where she developed Defusing Hate) and has led trainings and project design workshops on counteracting dangerous speech for a variety of organizations globally. She has spoken on counteracting dangerous speech at international conferences and events, including as a PopTech 2016 speaker, and her work on counteracting dangerous speech was profiled in the Christian Science Monitor. Rachel also founded and is the former CEO of Sisi ni Amani-Kenya (SNA-K), a Kenyan NGO that pioneered new strategies to build local capacity for peacebuilding and civic engagement, most notably through the creation of a text-messaging model and platform to support community-based efforts. She was recognized as a 2012 PopTech Social Innovation Fellow for this work, and the organization was profiled in the documentary Peace In Our Pockets. Rachel holds a B.A. in International Relations from Tufts University. Shahid Buttar leads the Electronic Frontier Foundation’s grassroots and student outreach efforts. Previously, he led the Bill of Rights Defense Committee as Executive Director. He’s an attorney focused on the intersection of community organizing and policy reform to shift legal norms, rooted in communities across the country resisting mass surveillance. Partner at Cambria & Kline, P.C. Bridget Cambria is a partner at Cambria & Kline, P.C. C&K specializes in immigration law and represents clients across the U.S. in immigration proceedings, as well as in impact litigation filed in district and federal courts in multiple jurisdictions. Mrs. Kline is also a founder of the non-profit Aldea – the People’s Justice Center. For the past three years, C&K and Aldea have represented hundreds of families detained at the Berks Detention Center pro bono. Early in his career, Ernest became an active member of the NAACP, Detroit Youth Council, and was instrumental in reactivating the Ferris State NAACP University Chapter. He has spent over 15 years working in domestic and international advocacy. Ernest joined AIUSA in 2010 as Field Organizer for the Midwest Region. Connect with Ernest on Twitter @AmnestyErnest. Sheetal Dhir is the Senior Campaigner for Crisis and Tactical Response at Amnesty International. She covers crisis response work on developments arising from conflicts, coups and other events that result in sudden, widespread and serious human rights violations. She was previously with the American Civil Liberties Union, working on mass incarceration, criminal law reform, the death penalty, and prisoner’s rights as well as coordinating the ACLU’s work on #BlackLivesMatter. Originally a broadcast political news producer, Sheetal has produced for ABC News, Current TV, Al Jazeera, WGBH, and Fusion networks. Sarah Deer is a citizen of the Muscogee (Creek) Nation of Oklahoma. She was named a MacArthur Fellow in 2014. Currently a professor at the University of Kansas, Deer is also the Chief Justice for the Prairie Island Indian Community Court of Appeals. Director of the Gender, Sexuality, and Identity Program, leads AIUSA’s work on women’s rights, LGBTI rights, Indigenous Peoples’ rights, and sexual and reproductive rights. Previously she has worked with the US Human Rights Network and as a professor of Women, Gender, and Sexuality Studies and English. Gladys Dubon Chicas is an advocate for refugee rights and the end of family detention. She’s intimately familiar with US policy of detaining families seeking asylum and the re-traumatization it causes. Gladys and her young daughter fled violence in Honduras and were detained at Berks for about a year. Throughout her time in detention and since winning her asylum case, Gladys has supported and advocated for women and children who face a similar situation. Idil Eser has been the Director of Amnesty International Turkey since 2016. She is a long time independent translator and has workedfor several civil society organizations in Turkey, including the History Foundation, the Helsinki Citizen’s Assembly, and Doctors WithoutBorders. Idil spent over 113 days in prison. Andrew Fandino is Amnesty’s new Senior Program Officer with the Individuals at Risk Program. He has over 18 years of human rightsadvocacy experience working with such organizations as the Guatemala Human Rights Commission, the Burma Border Projects, HumanRights Watch, Peace Brigades International, and the U.S. Office on Colombia. Sandra Freeman is an attorney based in Colorado. She has successfully defended activists in state and federal courts and was a PublicDefender in Virginia before directing mass defense efforts with the Water Protector Legal Collective. She represents activists in NorthDakota and Virginia and indigent clients in Colorado. Nancy Galib is the Country Specialist for Myanmar, Chair of the Southeast Asia Co-group, and Co-group Steering committee, member.She has been an active leader in AIUSA for over 20 years and is a former member of the Board of the Directors. She is currently a cocoordinatorof the Northern Virginia Amnesty International group (Group 159). Shujaa Graham grew up on a Louisiana plantation where his family were sharecroppers. In 1973, he was convicted of murder and spentthe next 15 years on death row before he was finally exonerated. Since his release, he has campaigned to end capital punishment bysharing his personal story. prosecution. Other backgrounds: U.S. human rights litigation against Exxon (Indonesia), Unocal (Burma), Shell (Nigeria). Jeffrey Haas is an attorney representing progressive movements and victims of police abuse. Author of The Assassination of FredHampton: How the FBI and the Chicago Police Murdered a Black Panther, he founded the People’s Law Office in Chicago and thesuccessful campaign to expose Jon Burge’s legacy of torture. Margaret Hall works in the Office of International Programs at Wayne State University in Detroit, MI. As a student, she was the foundingmember and president of the Wayne State chapter of Amnesty International. Currently, she serves as a Student Activist Coordinator andMember Trainer for Amnesty International USA. She graduated from Wayne State University with a degree in Cultural Anthropology and aminor in Peace & Conflict Studies. Throughout her academic career, she extensively covered Myanmar and the Rohingya crisis, endingwith her thesis ‘The Effects of Nationalism and Discriminatory policies in Myanmar’. She is currently pursuing an MBA at the WayneState University Mike Ilitch School of Business with a concentration in International Business. Ashley Houghton is the Tactical Campaigns Manager at Amnesty International USA, where she prepares for crises before they emerge.She builds campaigns around strategies to move the needle with key audiences in the US, advising on innovative engagementopportunities for Amnesty’s priority campaigns. In her previous roles at ReThink Media, she managed rapid response and crisiscommunications. She also developed and implemented effective media and communications outreach as well as capacity-buildingstrategies across the Security and Rights sector. Tara Houska is Ojibwe from Couchiching First Nation. She is National Campaigns Director of Honor the Earth, a co-founder of Not YourMascots, and was Native American advisor to the Sanders campaign. Her work focuses on issues facing indigenous communities, with afocus on environmental justice, protection of sacred sites, and institutional racism. Margaret Huang is AIUSA’s Executive Director. Ms. Huang previously served as Chief of Staff and as Deputy Executive Director forCampaigns and Programs at Amnesty International USA. Earlier in her career, she served as Executive Director of the Rights WorkingGroup, a coalition of civil liberties and human rights groups formed in the aftermath of the September 11, 2001, attacks. Previously, sheserved as Director of the U.S. Program at Global Rights, Program Director of the Robert F. Kennedy Center for Human Rights, andProgram Manager at The Asia Foundation. Earlier in her career, she served as Committee Staff for the U.S. Senate Foreign RelationsCommittee. Ms. Huang received a Master of International Affairs from Columbia University, and a B.S.F.S. from Georgetown University. Greg Jackson is a community organizer, campaign strategist, experienced advocate and communications professional in Washington D.C.He survived a near-fatal shooting as an innocent bystander in 2013. Upon his recovery, Greg has been an avid mentor for youth in at-riskareas and started initiatives like the Grassroots Education Project and “We Read” to facilitate more young professionals to mentor youthin the inner city. Katrina Johnson recently became an activist, and family spokesperson when her cousin, Charleena Lyles pregnant mother of four, wasshot and killed by police in her home after calling for help. Since then, Katrina has worked with other families who have lost loved onesto police violence in Washington State and local nonprofits to reform use of lethal force policy and police community relations inWashington State. Daniel Joloy is a Senior Policy Advisor at Amnesty International. Previously, he was the Advocacy Director at the Mexican Commission forthe Defense and Promotion of Human Rights, a leading Mexican NGO, and was also a human rights advisor for the youth-led organizationEspolea. He has also collaborated with different research projects in international human rights law and international relations at theCenter for Research and Teaching of Economics (CIDE). Daniel holds a B.A. in International Relations from Universidad Iberoamericanaand a Masters in International Human Rights Law. Josh Kennedy has been a business and human rights researcher for more than a decade, focusing on the nexus of conflict and corporateactivity. He currently serves as outreach coordinator for AIUSA’s business and human rights group. Benya Kraus represented AIUSA as the 2017 Youth Delegate to the International Council Meeting held in Rome this past August. She’sserved as the Massachusetts State Legislative Coordinator for the past three years, was a member of the AIUSA National StrategicPlanning Committee, and currently serves on the AIUSA Priorities Sub-Committee. Kathleen Lucas joined Amnesty International while in college and has held a variety of volunteer leadership roles. Her organizationdevelopment career took her from Harley to Honeywell. She earned her BS and MA at Fairleigh Dickinson University and now serves asexecutive director of Pennsylvanians for Alternatives to the Death Penalty. Emma Marks is a student at Wilmington College, where she is studying political science, agricultural communications, and sustainability.Emma is the volunteer Legislative Coordinator for Ohio as well as the president of her campus chapter of Amnesty International. This fall,Emma led a campaign at Wilmington College that successfully passed a Refugees Welcome resolution. Jenni Monet is an award-winning journalist reporting on Indigenous justice issues. Her extensive coverage of the standoff at StandingRock earned her top journalism honors, but also led to her arrest. She is scheduled to go to trial in June 2018. Jenni is a tribal citizen ofthe Pueblo of Laguna and based in Brooklyn, NY when not on assignment. Simon Moya-Smith is an Oglala Lakota-Chicano journalist and a contributor to CNN and NPR. He has a Master of Arts degree injournalism from Columbia University. Moya-Smith is a former staff writer with NBC News and The Denver Post. His new book, “YourSpirit Animal is a Jackass,” will release fall 2018. Ngozi Ndulue is the NAACP’s Senior Director of Criminal Justice Programs, providing leadership and direction for the NAACP’s efforts toreform the criminal legal system. Prior to joining the NAACP, Ngozi worked at the Ohio Justice & Policy Center and at the ArizonaFederal Defender’s Office. Her career has focused on representing prisoners in civil rights cases, post-conviction advocacy for deathsentencedinmates, and racial justice policy campaigns. Mustafa Nuur is a Somali refugee who fled with his family when he was 13. They spent nearly a decade living between Dadaab and Nairobi, Kenya before resettling in Lancaster, Pennsylvania. While working in marketing and web development, Mustafa is also a refugee leader and advocate. He volunteers with CWS resettlement and is the founder of Bridge, a platform that highlights refugee entrepreneurship and promotes cross-cultural interaction with refugees. Kit O’Connor, Legislative Coordinator for Vermont and Trainer with the Membership Empowerment Training Project, is a proud NewEnglander. They’re guided by belief in agency, dignity, empathy and the importance of humor. A teacher, Kit has also advocated for abroad spectrum of people, with emphasis on teens and people with psychiatric disorders. Science from University of California, Los Angeles (2003). Akriti Panthi has served as the AIUSA Student Activist Coordinator for Missouri for over 4 years. She has facilitated conferenceworkshops and has served on regional and annual conference organizing committees. Prachi, originally from Australia, holds a Bachelor of Laws, with a focus on international human rights law, and a Bachelor of Arts fromMonash University. She previously worked at the Women’s Environment and Development Organization, a global women’s advocacyorganization, where she worked to ensure women’s voices were represented in UN climate change negotiations, particularly in the lead upto the Paris Climate Summit. Over the past eight years, she has worked and volunteered nationally and internationally with a variety ofnon-governmental and grassroots organizations including Peace Women, Amnesty International Australia, the Starlight Foundation, Jeansfor Genes and Oaktree. At Oaktree – Australia’s largest youth-run movement fighting poverty – Prachi worked as Schools’ Directorengaging thousands of young people to become active agents of change in their communities. Makaya Revell fled the Democratic Republic of Congo at 16 when civil war broke out. He undertook an arduous journey to seek safety in the US, and was detained for a year at Berks. Since his release, he received his Master’s in International Peace and Conflict Resolution, and works to improve the lives of orphaned children in the Congo through his foundation, the Marie Mambu Makaya Foundation. Terry began her documentary filmmaking career at WGBH-TV where she helped create the long-running PBS science series, NOVA.Among her other credits are episodes of Eyes on the Prize, a history of the civil rights movement, and The Great Depression, bothproduced at Blackside, Inc., America’s leading African-American production company. Terry’s sister, Laura Rockefeller, was killed in the9/11 terrorist attacks. Since May of 2002, Terry has worked with September 11th Families for Peaceful Tomorrows to oppose war inresponse to 9/11, to protest lack of due process in the military tribunals trying those accused of the terrorist attacks, and to closeGuantanamo. From 2003 to 2009, Rockefeller was a member of the board of directors of Murder Victims Families for Reconciliation,which works to abolish the death penalty in the U.S. She currently serves on the steering committee of United for Peace and Justice, acoalition of national and local peace, nonviolence and social justice organizations. She also works with the Iraqi Civil Society SolidarityInitiative, a collaboration between Iraqi and international NGOs to support human rights, democracy, and anti-corruption activists in Iraq.Terry has been a member of AIUSA for more than 30 years. Krissy Roth is Amnesty International USA’s Senior Program Officer for Criminal Justice Programs, overseeing AIUSA’s work on abolishingthe death penalty and stopping unlawful killings by police. In this role Krissy works with AIUSA member leaders, activist, impactedcommunities, key partners, and elected officials to provide human rights impact towards these objectives. Claire Sadar is one of Amnesty’s new Turkey Country Specialist. Claire was formerly an editor for the Iran, Iraq, and Turkey pages of theonline magazine Muftah. Her reporting has been published online in Foreign Affairs, the Vice, among other publications. She has amaster’s degree from Boston University. Aniket Shah is the Chair of the Board of Directors of Amnesty International USA. Prior to being Chair, Aniket served as the Treasurer ofthe organization beginning in 2013 and has been a board member since 2006. Aniket is the Head of Sustainable Investing atOppenheimer Funds. In this role, he is responsible for integrating Environmental, Social and Governance (ESG) investment principlesthroughout the firm’s investment strategies. Previously, Aniket was the Program Leader of the Financing for Sustainable DevelopmentInitiative at the UN (SDSN). In this capacity, he advised various governments, international financial institutions and asset owners onsustainable finance issues around the world. Aniket is a graduate of Yale University and is a PhD candidate at University the Oxford. Salil Shetty joined Amnesty International as the organization’s eighth Secretary General in July 2010. A long-term activist on poverty andjustice, Salil Shetty leads the movement’s worldwide work to end human rights violations. Prior to joining Amnesty International, SalilShetty was Director of the United Nations Millennium Campaign from 2003 to 2010. He played a pivotal role in building the globaladvocacy campaign for the achievement of the Millennium Development Goals. From 1998 to 2003, he was chief executive ofActionAid, and is credited with transforming the organization into one of the world’s foremost international development NGOs. SalilShetty studied at the Indian Institute of Management in Ahmedabad and at the London School of Economics. Jasmeet Sidhu is a Researcher with AIUSA. She is currently researching the impact of gun violence on human rights in the United Statesand the government’s obligations to prevent acts of gun violence for AIUSA’s upcoming report. Jasmeet is a lifelong human rights activistand a seasoned attorney dedicated to advocating for social justice. including disaster response, refugee camps, low-income countries, and low-income communities in otherwise high-resource countries. She believes security is a key factor in supporting resilience and stability for vulnerable people. Emily Walsh is AIUSA’s Human Rights Defenders (HRD) Campaigner, leading the organization’s work on protecting the rights of HRDs.Emily will also be leading the Refugees Welcome Resolutions initiative in close partnership with member leaders. Emily previouslyworked on AIUSA’s Individuals at Risk team and has also served as a human rights observer at Standing Rock and Guantanamo Bay. Thisis Emily’s eighth year with AIUSA. Connect with her on Twitter @EmilyWalshAI. Matt Wells is a Senior Crisis Adviser at Amnesty International, where he undertakes human rights investigations in situations of armedconflict and major crisis. He was the lead researcher and author of Amnesty’s October 2017 report, “My World Is Finished”: RohingyaTargeted in Crimes Against Humanity in Myanmar, and, following additional research in Bangladesh in January 2018, is currentlyworking on a comprehensive report on the Rohingya crisis, which will examine the totality of crimes committed as well as the units andindividuals responsible within the Myanmar military. He has more than a decade of experience carrying out human rights investigationsacross Africa and Asia, with a particular focus on mass atrocity crimes, including in the Philippines, South Sudan, the Democratic Republic of the Congo, and Côte d’Ivoire. The Action Alley is a forum to learn about and take action on human rights issues and current AIUSA priorities, and a space for groups to creatively display their ideas and accomplishments. The application deadline has now passed. Applications will be vetted to ensure that display contents adhere to AIUSA policy. We will provide each approved participant with a shared space on a skirted table for your display and materials at no charge. Participants are responsible for creating displays, transportation to and from the conference, set-up, clean-up of the display and all materials, and staffing of their table throughout the conference. It’s time to stand up for refugees and human rights – your voice is needed more than ever! Come join hundreds of Amnesty supporters, members, and activists as we call on ALL Members of Congress to stand up and speak out for refugees, humanitarian aid, and the importance of fighting for human rights around the world. Let your voice be heard! We are excited to host the first National AIUSA Lobby Day in over a decade! Our goal is to bring participants from every part of the country, and as such are offering a generous incentive to attend. If you attend the AGM Lobby Day, and you’re one of the first 300 people to register, you only need to pay for your travel – we’ll cover your lodging (shared room with one other participant) and select meals once you arrive! Please note, each state has its own quota, so register early to get our generous hotel subsidy! But don’t worry, if capacity is already reached from your state, you’re still invited and we still need you – you’ll just have to cover the cost of your hotel room and you’ll automatically go on our waiting list to receive a hotel subsidy should additional capacity arise. We’ve still got your meals covered! It pays to register early – so don’t delay, register today! What is covered for AGM Lobby Day Participants? If you wish to register as a group (2 – 4 people) please indicate that on your registration page. Groups of two to four will be lodged together. Please note, there are two beds per room. Please note, if you register as just one person you will be placed in a room with one other participant. Every effort will be made to place participants by state/city of residence. If you wish to stay with a specific individual or group, you ALL must indicate that on your registration form. If you desire to stay in your own room please indicate on your registration page that you wish to pay for your own lodging and pay for the full cost of the room (at the special discounted rate of $170 per night). 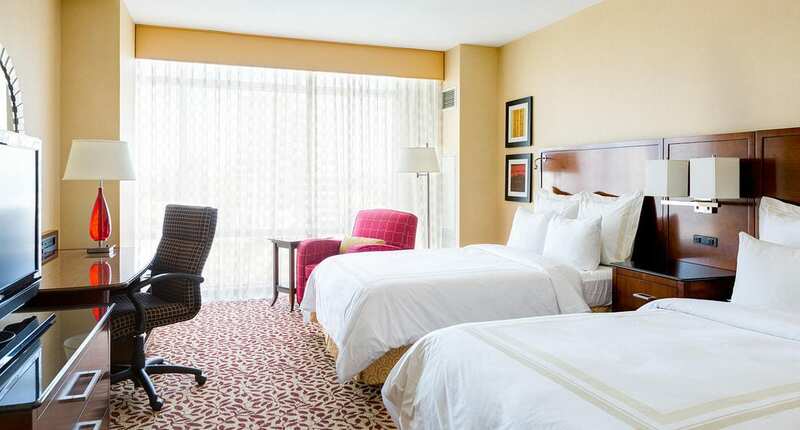 Bethesda North Marriott Hotel & Conference Center is our host hotel located in Rockville, MD. Our room rate is $149 (subject to applicable state and local taxes) for single, double, triple and quadruple occupancy. You can reserve your room by calling the hotel directly at 1-301-822-9200 and mentioning Amnesty International or by clicking the link below. The special room rate will be available until January 29th. See you at the Bethesda North Marriott Hotel & Conference Center in February! We hope you enjoy your stay and your group’s event! AIUSA is providing limited subsidies in the form of lodging for Friday and Saturday night (February 23-24) of the 2018 Annual General Meeting in Rockville, MD. Subsidies are intended for active AI members and activists or those hoping to become active who otherwise would be unable to attend the conference due to financial constraints. To be eligible for a subsidy you must apply with a group of two – four people who are committed to registering and attending the entire three-day conference, working one three-hour volunteer shift, and meeting the requirements included in the application linked here. We look forward to having you join us for Amnesty International USA’s 2018 Annual General Meeting! We are excited to be hosting the conference in the Washington D.C., metro area. The links below provide resources that can help in your planning, including information about traveling to and around the conference. We encourage you to book your travel early, as rates will change and increase as the conference gets closer. 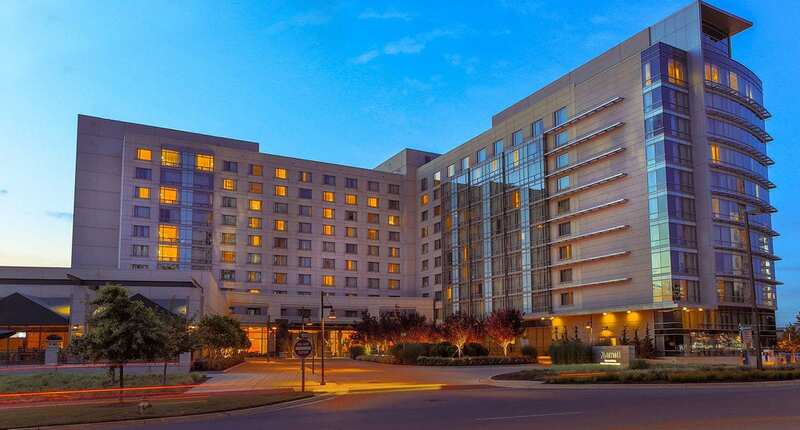 If you need to book hotel accommodations, consider staying at our official conference venue, the Bethesda North Marriott Hotel & Conference Center. You can find the hotel booking instructions and special rate, below. Hotel direction:23 miles NW. Take George Washington Parkway to I-495N. Merge onto I-270 and take Democracy Blvd East Exit. Turn Left on MD-187/Old Georgetown Rd. Turn Right on Executive Blvd. Turn Left on Marinelli Rd. Hotel direction:37.6 miles SW. Take Interstate 195 West to Interstate 95 South. Merge onto Interstate 495 and continue to exit 27 toward Silver Spring. At exit 34 merge onto Rockville Pike. Proceed to Marinelli Road and turn left. Parking rates for the Economy Lot: Daily Rate: $10 per day (24 hour period). No hourly rates. To be eligible for a subsidy you must apply with a group of two – four people who are committed to registering and attending the entire three-day conference, working one three-hour volunteer shift, and meeting the requirements included in the application. The application deadline for subsidies has now passed. We will make final decisions and notify applicants that have been tentatively awarded a subsidy by no later than January 19th. At this point you will have until January 22nd at 5:00pm EST for everyone in your group to register online for the AGM and submit waivers (if under age 18). We will not secure your room unless we receive your proof of registration and minor waivers (if applicable) by January 22nd. Online Registration has now closed. Onsite walk-in registration is available. In an effort to make our conference accessible for all participants, we have gender neutral restrooms available. Regardless of what restroom you use, please respect everyone’s privacy. If you are 17 years of age or younger, AIUSA requires that this waiver agreement, be completed by a legal guardian and that a chaperone accompany you for the entire duration of the conference. AIUSA does not assume responsibility for minors. Please read the waiver carefully. Please sign the waiver and email a copy to [email protected] no later than February 16th, 2018. If you have any questions or concerns, contact [email protected] or 212.633.4168. Attendees who do not email or bring the signed waiver will not be allowed to participate. The area around the hotel is full of restaurants and shops that attendees can explore. To view a map of the surrounding area please click below.